When choosing your international franchising advisors there is an important consideration to be aware of. Not only do you need to get the very best international franchise advice that you can for this important strategic move for your business, but you need to find international franchise advisors that you can be sure will be with you for the long term. Let us explain: with help of our international franchise support and mentoring programme, in the fullness of time you will learn all about international franchising and develop your own knowledge and skills in this area. However, each new country or market that you target, will have it’s own franchising, legal and business culture. This is where our international franchise development experience comes in. 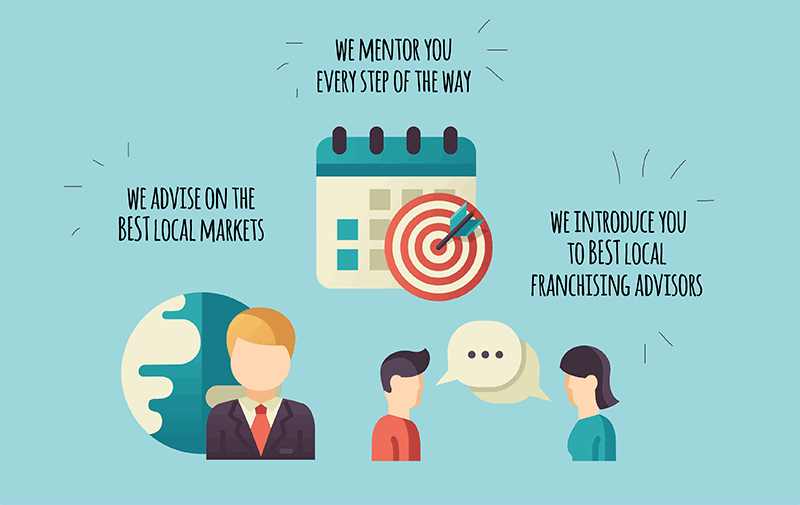 We will advise you on the markets best suited to international franchise development, provide guidance appropriate to the local market and introduce you to the best local international franchising advisors. International franchise development is a long term strategy and you should choose your advisors accordingly.